The University of the West of Scotland is hosting on the 13-16th of October 2016 the International Conference on Youth Futures "Insisting on the Indispensable". The Keynote Speaker is Professor Henry A. Giroux who will be speaking on "Disposable Futures: The War on Youth in the Age of Spectacle". Mark your calendars! An electronic version of the 25th, 26th and the dual 27th-28th CiCea Newsletters have been emailed to all members. Association newsletters 25 and 26 were electronically published to the CiCea website. 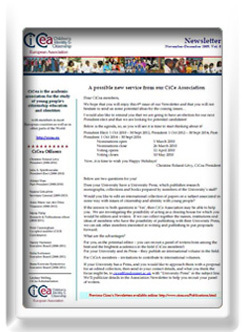 The 29th CiCea Newsletter is presently being compiled and will be electronically posted in early Fall 2013. This year's CitizED conference took place in Tokyo, on 13-15 July, 2013 and was organized by the Hiroshima University in Japan. The conference’s theme was East and West in Citizenship Education: Encounters in Education for Diversity and Democracy. This theme was attractive to an international audience, including a delegates from both CiCe and CiCea. In the photo we see the chair of the conference, Prof. Norio Ikeno and four CiCea members: Marjanca Kuscer (Slovenia) Nilüfer Pembecioğlu (Turkey), Susana Gonçalves (Portugal) and Riita Korhonen (Finland). Riita gave a keynote lecture and the other colleagues presented their research in conference sessions. The spring meeting of the Executive meeting of the Executive Committee/Board of Directors/Charity Trustees was held in Lisbon prior to our Annual Conference. Highlighted by several announcements, our Annual General Assembly meeting was held on June 14th in Lisbon. 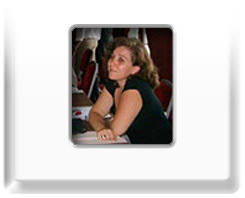 We announced the re-confirmation of Susana Gonçalves as Secretary General through September 2017. Also on the agenda was the announcement of the Annual CiCea Outstanding Achievement Award which went to Ian Davies for his commitment as editor of the association’s journal Citizenship Teaching and Learning, and for his internationally recognized good work in the field of citizenship education. The Annual Executive Report was presented, proposed and seconded as was the Treasurer's Report. The "Executive Proposed and Approved Activities for 2013 were also outlined and approved. These activities focus on increasing the fundamental and applied research visibility of the Association. Among the activities was the establishment of a peer-reviewed online publication under the aegis of CiCea and to be located on the Association webpage, to which members can submit papers to be published. The winter meeting of the Executive Committee/Board of Directors/Charity Trustees was held in Ayr, Scotland at the University of the West of Scotland. Among the agenda issues were: A research grant for 2014-2015 was discussed and agreed upon. It was agreed that next year’s Outstanding achievement award will be selected using a survey of the members. The rebranding of the Association was discussed, including changing the name to broaden its remit and in particular its disciplinary focus. The possibility of printing a number of postcards using Susana Gonçalves' photos was discussed and it was agreed to produce a pack for sale at the conference that can be used as pedagogical tools for secondary students and undergraduates. The copyright and profit of the sales have been donated to CiCeA.